With the help of new scientific research, Katsuo Stamina is developed to recycle lactic acid back into energy while ridding excessive lactate. 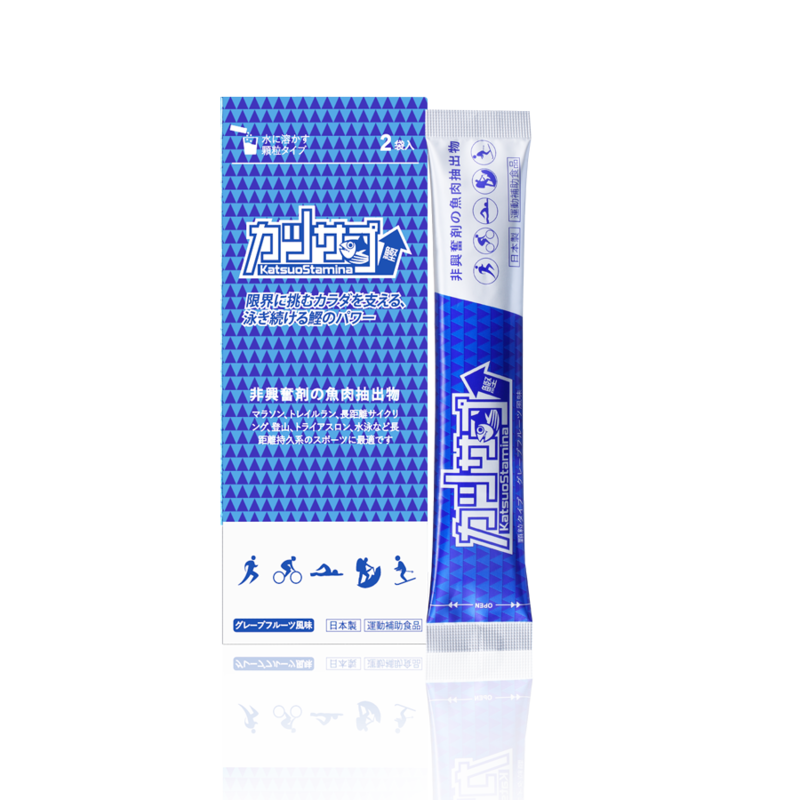 It serves to protect muscles and increase sports endurance; making it suitable for intense workouts and events like marathons. Convenient – Easy to carry; consumable friendly. Powerful – Formulated with high glycemic carbohydrates which improve and boosts efficiency. Fast absorption – Removes the need to break down capsules; speedier absorption results in faster results. No stimulants – The absence of capsules eliminate possible allergy reactions.